After kicking off the tall display trend in 2017, Samsung is set to announce the first smartphone with a display hole early next year. However, if a new patent is anything to go by, this design could soon be followed by a completely bezel-less look. More specifically, the brand’s latest patent envisions a smartphone that utilizes a variety of under-display sensors. In order for this to work, Samsung makes use of three layers. The first is a bracket that is home to a transparent antenna and any necessary sensors such as the front-facing camera and the in-ear speaker. This panel sits beneath the display, which includes micro-holes over the areas with sensors underneath. Lastly, all of this is covered by a layer of glass which conceals both the camera and in-ear speaker holes from the user completely. Interestingly, the module that contains the front-facing camera may also contain the rear sensor, according to this patent. This could have something to do with space-saving measures. Another interesting feature comes in the form of hologram projection which allows the device in the patent to project 3D objects. 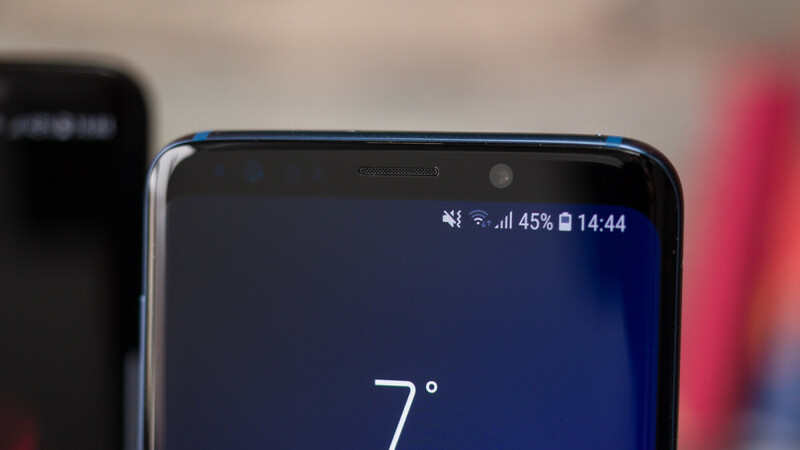 The news of this patent comes just weeks after it was confirmed that Samsung is currently working on under-display tech. No exact timeline was provided but it was suggested that it could make its way to smartphones by early 2020, perhaps in time for the Galaxy S11. Really? Can you explain how? Question. Have you ever sold millions of anything? Mom this is innovation indeed! You show them how it's done, Sammy! I wish all android companies copies samsung implementation from here onwards instead of apple notch,no headphone jack implementation so they can get profits and don't have feel bad of being left behind in world of mobile market for consumers not buying their products.Just let that apple die like old nokia did in its times when apple will only focus on raising prices of its products,services and repair cost all over the world to become only a profitable company in long view.Microsoft step in at right time over google fuchsia os debut in mobile market. Anyone else notice how detailed Samsung's patents are? As opposed to certain companies that have the vaguest sketches and descriptions. "HEY, that looks like our chicken scratch, lets sue!" If you're asking fanboys? Then the answer will be, No. Apple patents look like something from their coloring books. Because they is all they understand about tech. Samsung patents have substance and explain with grave detail. They are true innovators which costs money which they spend. Saying they spend more on R&D, doesnt say much as they have a huge portfolio of products to support. But when you example many if their products, you see great thought and engineering went into them. "My first language may not be engineering, but Iknow Samsung stuff donlt bend". This is why Samsung peoduxts, dont have those same nagging problems every release, like some other company we know. Mean while at Apple headquarters they're working extremely hard and planning to offer a new revolutionary color for their iPhones.